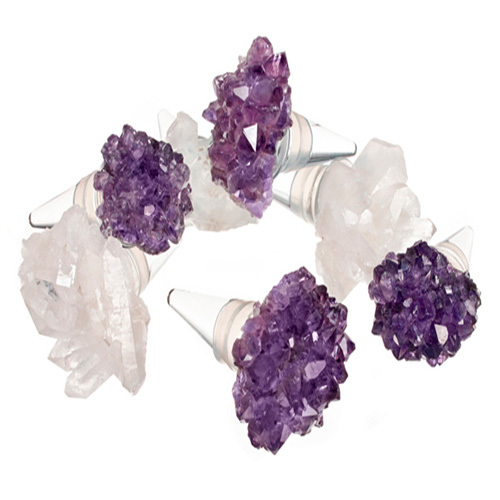 These stoppers are made from rare clustered amethyst and crystal, as well as other semi precious stones from Brazil, and glass. Stones may vary. This is a natural product. Approximately 2" x 2.75"